So you may have visited the land Down Under and fallen in love with the place, here is a guide to all the ins and outs of moving to Australia if you do decide make the big leap and relocate. Of course, you will have to decide where you would like to live. Will it be the trendy and lively city of Sydney, the relaxed way of life in Perth, the serenity of Adelaide or the beautiful Gold Coast among many other places to choose from? Your choice of destination may also be influenced of course by visa options and restrictions as well as friends and family ties. 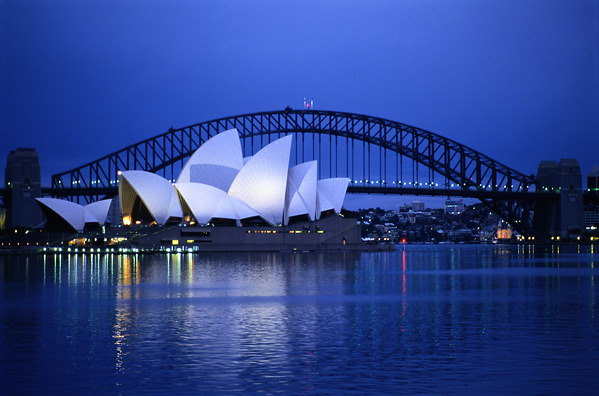 Deciding to relocate to Australia first starts with looking at visa options and if you are eligible. The main types of visa are working holiday visas (for up to age 30), student visa, skilled migration visas, business / investment visas and family visas. In terms of skilled migration, each Australian State has its own list and you will need to check the latest Occupations in Demand lists for each region. This list is usually reviewed on an annual basis so you will need to make sure you have the most up to date list. Further information can be found the Australian Government’s Department of Immigration and Border Protection website – http://www.immi.gov.au/. An emigration or visa company can assist you when making your application. Make sure to only use a Migration Agents Registry Authority (MARA) regulated agent (www.mara.gov.au) if you do decide to go down this route. When you have your visa approved, you will need to validate your visa and also start to plan your relocation. This will involve firstly selling your property / renting out your property / planning your move out of your property. In addition, you will also need to contact an International Moving company if you are planning to take any household or personal effects with you to Oz. Most International Moving companies suggest that you request a quotation for your move at least three months before your estimated moving date. This will allow enough time to revise your packing list if needed and to secure a packing and loading date or dates. In addition, this timescale allows you to have time to do any research you need to do with regards to moving and shipping companies including asking the company various questions you may have about the process. If you have a part or full house shipment, you will usually need a Pre-Move Survey Consultation in order for the Moving Company to prepare your quote. The Survey usually involves a Consultant visiting your house to assess the volume of the goods to be shipped. A packing list / inventory will be created during the process and in most cases, a copy provided to you with your quotation. During the Consultation, the Moving Company will discuss various aspects of the move including transit times, packing methods and shipping options (e.g. sea freight, air freight, sole use container and shared container options). This is also an opportunity to ask any questions you may have with regards to the move. If you are just shipping a few items or a very small shipment, you should be able to call or e-mail your Moving Company with a list of the items / photographs of the items and get a quote relatively quickly. You can also ask for a House Contents Form which some companies provide in order to calculate the volume of the shipment. You will need to bear in mind a number of customs and quarantine regulations when shipping to Australia. Each shipment will be inspected by Quarantine officers, particular items of interest are outdoor items where there could be soil / dirt on the items and therefore pose a threat to Australia’s environment (via Foot and Mouth and other diseases for example). Your Moving company should provide you with a list of restricted and prohibited items before your move as well as instructions on the best way of cleaning your outdoor items in preparation for shipping. In summary, moving to Australia could be the adventure of a lifetime and the start of a brand new life in ‘the lucky country’. Although the visa application and shipping process may take time to prepare for, it should all be worth it when you settle into your new destination and start enjoying the sunshine and blue skies of Australia. As the capital and largest city in Indonesia, Jakarta is one of the most important cities in South East Asia, easy to reach with cheap flights and is also at the heart of culture and cuisine in the country. Naturally, Jakarta has an amazing range and selection of restaurants ranging from the small stalls serving local cuisine through to high end restaurants serving some of the best Indonesian and international cuisine to be enjoyed in the region. One important thing to note when visiting a restaurant in Jakarta is that many will offer visitors a bowl of water with lime before the meal, and this is not a drink, but as food is consumed with the hands is provided to allow diners to wash their hands. One of the best traditional Indonesian restaurants that can be experienced in Jakarta is Kembang Goela, and is an attractive restaurant that has been decorated in a distinctly colonial style. While the main dining room is large and spacious, the small rooms off the main dining rooms are cozy and welcoming and are particularly good for couples on a romantic evening. Among the highlights on the menu are dishes such as the excellent beef rendang, which is slow cooked in a sauce including coconut milk, while the Dendeng Balado is a great dish of beef strips that are served with chillies. Italian cuisine may not be the first thought for visitors to the thriving city of Jakarta, but located within the Shangri-La Hotel, this Italian restaurant is one of the best available outside Italy itself. The stunning surroundings at Rosso are beautifully designed and give the restaurant a superb atmosphere, and the prices are surprisingly reasonable for what is truly a top end dining experience. Some of the highlights on the menu include the wonderful porcini mushroom cappuccino soup, which is served as a starter in its own coffee cup, while the veal tenderloin cooked in three ways is an excellent dish. This is a true crossover restaurant where an Asian and Indonesian inspired menu stands side by side with a great selection of the best European dishes, all making the most of the great local produce on offer. The style of the dining room is quite rustic, and the colorful chalk boards with their wine lists and changing specials menu also help to give the restaurant a relaxed atmosphere. The food itself is very good, with the duck confit being among the best of the European dishes on the menu, served with a lovely dish of bacon, green beans and potatoes as a side. The tenderloin steak is another excellent dish, and shows the flair of a chef who was trained in Belgium. This restaurant is a Peranakan Indonesian style place which serves some of the traditional dishes of the Peranakan culture which not only uses traditional Indonesian influences but also includes a Chinese influence too. The restaurant itself is in a small two-story building with a nice dining area upstairs, and enjoys a relaxed atmosphere that is popular among locals as well as visitors to the city. The food itself clearly shows the Chinese influences that are seen in this type of cuisine, with dishes such as the excellent grilled mackerel, which is one of the house specialties, and the spicy Asam Asam Iga, which is a great beef soup. This restaurant is associated with the Face Bar, which is a part of a chain of popular bars that can be found across Asia, and is often considered a good place to go for dinner before heading out on the town in Jakarta. The cuisine itself here aims to bring together some of the best of Asian dishes, and is particularly good at Thai dishes such as mango sticky rice and Gai Hor Bay Toey, which is a deep fried chicken that is then cooked in leaves, and served with sweet dipping sauce. As you would expect for a restaurant that shares a building with a popular bar, the range of drinks and cocktails available here is particularly good. Bangkok is not only the capital city of the country, but is also by far the largest city in the country, meaning that there is always plenty to do and to enjoy in the city. The main financial district has benefited as much as many other Asian capitals and is now home to a large number of skyscrapers, yet this historic city also has plenty of other attractions to draw the crowd too. The social life in the city is embraced by many of its residents, and it is a true cosmopolitan city where people from all backgrounds and orientations can be seen alongside each other. Along with the financial revolution that has happened in Asia over the last twenty years, the development of a shopping culture has also appeared, and Bangkok is one of the best places on the continent for shopping. Shopping malls have sprung up throughout the city centre, with the districts of Siam and Ratchaprasong being particularly popular because of the series of shopping malls located there. For those looking for more traditional Thai wares or simply wanting to enjoy and exciting and different shopping experience, there are a number of different markets available. Probably the most impressive, and certainly the biggest market of all is the Chatuchak weekend market which is believed to be the largest weekend market in the world, boasting over 5,000 stalls selling everything from food and household items up to religious artifacts and live animals. One of the most fun festivals to be enjoyed in Bangkok happens between the thirteenth and the fifteenth of April every year, and is a celebration of the traditional New Year according to the old Thai calendar. While it may come as a surprise to those unsuspecting visitors, it is traditional on this day to douse others in water or water combined with talc as a wish of good fortune for the coming year. During the festival many locals can be found on the streets of Bangkok armed with containers filled with water or even water guns. The symbolic act represented on this act is the washing away of the old year, and the hope is that the washing away of the bad aspects of the previous year will bring prosperity and success for the coming year. One of the most famous (or some may say notorious!) aspects of the culture in Bangkok is the vibrant nightlife, with the fun centered on the districts of Si Lom and Lamsalee being particularly popular. As well as the wide selection of nightclubs, jazz bars and restaurants to be found in the city, there is also a significant culture of ‘Ladyboy Shows’, which does attract many visitors. The risks of going for a night on the town in Bangkok have reduced significantly over recent years, with a big drop in the crime rate. However, the low cost of alcoholic drinks in the city mean that visitors are likely to continue to flock to Bangkok to enjoy the nightlife districts. Like many other kingdoms in Asia, Thailand has a grand and impressive palace complex that is well worth exploring for the interested tourist. Not content with one ornate palace, the GrandPalace is made up of a large number of accommodation buildings, temples, entertaining rooms and a variety of other outbuildings too. The highlight of the GrandPalace in Bangkok is the Temple of the Emerald Buddha, which has a sacred statue of the Buddha which can only be touched by the King of Thailand. 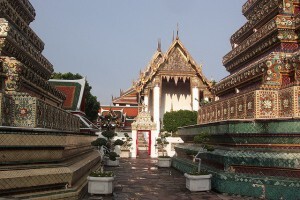 This temple is generally considered to be the most important in the whole of Thailand. This is another important festival in the cultural life of Bangkok in which the city is lit up by fireworks, and light decorations are released on the water. The festival itself is related to the Thai calendar, and usually falls in November in the western calendar. The original intent of the festival was to honor the Buddha, although it is now a festival celebrated by most people in the city rather than just Buddhists. The tradition of making small decorations that include a small candle sees the river lit up by many small lights, which are said to take away the individual’s negative emotions. With more than 90 percent of its residents practicing Buddhism, a holiday trip to Thailand would not be complete without visiting the country’s historically and culturally-rich temples. Like its neighbour Cambodia, Thailand is also home to its own version of the Angkor Wat. And since the country is located in the middle of the Indochina peninsula, it wouldn’t be a surprise that it hosts some of the most pristine beaches. But, considering today’s busy work schedules and a pervading lifestyle of a businessman, it may be a good idea to take a break from the crowded beach scene and find your solace in the quieter temples instead. Luckily, with today’s DialAFlight services and one-click internet access, you’re much awaited trip is just a few steps away. If you are fond of the waterscapes, then Wat Arun might just be the place for you. Located at the Thonburi side of the Chao Praya River, this mystical temple offers a refreshing sight, especially when you visit the place around the afternoon. Ironically, the temple dubbed as “Temple of Dawn” hosts a better view during sunset, when the sun is strategically placed behind it. Aside from a picturesque view of the setting sun, you might enjoy its architectural design since it is actually based on the center of the universe in Buddhist cosmology, Mount Meru. At first glance, you might mistake this temple as a fortress because of several walls surrounding it, but it is actually one prime example of Lanna architecture that existed in the late 1400’s. Situated at the top of a hill, this wooden temple serves as a refuge for those who seek a peaceful atmosphere. For art lovers, one Buddhist temple to visit is the Wat Ko Kaew Sutharam, which is host to several interior paintings that dates back in the 18th century. These paintings vary in themes including those that depict European missions to Ayutthaya. Whether you’re touring Asia or just looking for cheap holidays in 2013, the west-coast city of Columbo is the most common arrival point and from here, it’s possible to follow a number of routes to some of the best inland and coastal attractions. Make time for a journey north-west from the capital to see Sigiriya, the site of an ancient settlement built upon the ‘Lion Rock’ which towers some 200m over the verdant treetops. Along with the palaces of nearby Polonnaruwa, Sigiriya is a significant World Heritage Site. Many visitors make the journey into the heart of the country, stopping in or around the city of Kandy. The dramatic setting of valleys and peaks here is marked by historic Buddhist temples, lush tropical gardens and the intertwining alleyways and marketplaces of the city itself. Travel out to Hatton to the famous tea plantations and see leaves picked by the colourfully-robed workers or try your hand at the task. More energetic travellers should head southwards, where the region around Belihuloya offers nature trails along the river, cycling tracks to the 80-foot falls at Duvili Ella or canoeing on the Samanalawewa reservoir. Whilst on the road, don’t miss the chance to travel by three-wheeled ‘tuk-tuk’ and experience the winding rural lanes at breakneck speed, in true Sri-Lankan style. When you’ve exhausted the interior, the beaches of Sri Lanka can provide days of peaceful relaxation in the year-round sunshine. The south-west is home to Arugam Bay, which is not only a favourite for beach-lovers, but a surfing hotspot and prime destination for fresh Sri Lankan cuisine, delivered to your plate straight from the Indian Ocean. Lastly, don’t leave this part of the country without exploring one of the finest natural reserves, Yala National Park. A beautiful habitat, home to creatures as varied as leopards and elephants, the park also stretches down to the coastline and encompasses vast underwater coral gardens within its perimeters. Naturally, there’s a lot more to experience on this characterful and irrepressibly friendly island than it’s possible to mention. But whether you find its magic in the cultural marrow of the ancient cities, the beauty of the mountain-filled panoramas or simply the welcoming smiles of the local people, Sri Lanka is one Asian destination that deserves as much time as you can spare. Vietnam is not often associated with luxury holiday destinations more a port of call for experienced or sometimes fresh faced travellers. Steeped in a rich history Vietnam boasts amazingly varied landscapes including mountain ranges, unchartered forests and pristine beaches. This diverse country offers something for everyone and seeing it within a lap of luxury is now provided through Mirus Journeys. So treat yourself to a once in a lifetime holiday to Vietnam. Start of in the countries capital, Hanoi at a luxury hotel like the Sofitel Legend Metropole just steps away from where the Opera House sits. 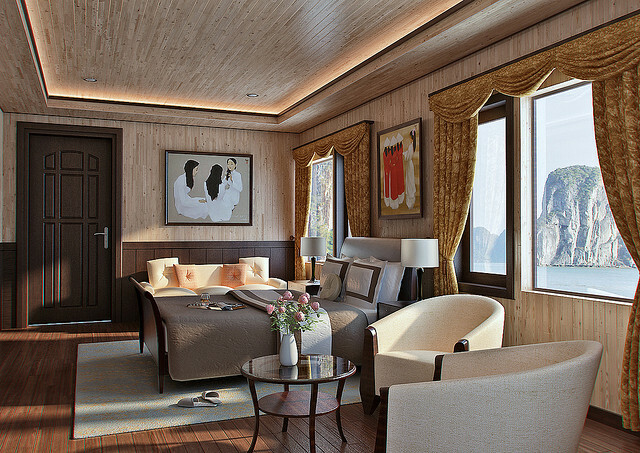 A classic hotel steeped in a rich history with all the grandeur of traditional Hanoi makes for a great starting point for your luxury Vietnam holiday. Take advantage of the city’s most famed restaurant and savour beautiful French cuisine, mixed with family recipes and a famous Sunday brunch. After savouring the delights of the Vietnamese capital then why not set off and explore what the rest of this beautiful country has to offer. Central Vietnam offers some of the most colourful and vibrant areas for you to see in Vietnam. You can visit the beautiful city of Danang on a breath-taking scenic drive over the Hai Van pass. Danang is home to the ChamMuseum, where you can learn more about the Champa people and other ethnic minorities. Danang is a vibrant place with tree lined boulevards, restaurants and some beautiful beaches to aid the mix of things to do in this wondrous place. A great base to explore the region comes in the form of a stretch of beautiful white sandy beaches where 60 one bedroom villas and 40 pool villas are spread over 35 hectares of tropical gardens. Known as the Nam Hai, located just 25 minutes from Danang and 15 minutes from Hoi An, this beachfront offers a beautiful and endless horizon, sensational cuisine and great location to explore the vicinity. Once you’ve enjoyed this luxury resort and explored the many regions then why not take in some of the many islands along the Vietnam coastline. Secluded coves and brilliantly white sandy beaches are scattered along the coast providing a beautiful step on to the secluded and luxurious islands. A beautiful place to base yourself and see some sensational islands of the Vietnam coast are Con Dai which is a chain of 15 islands. 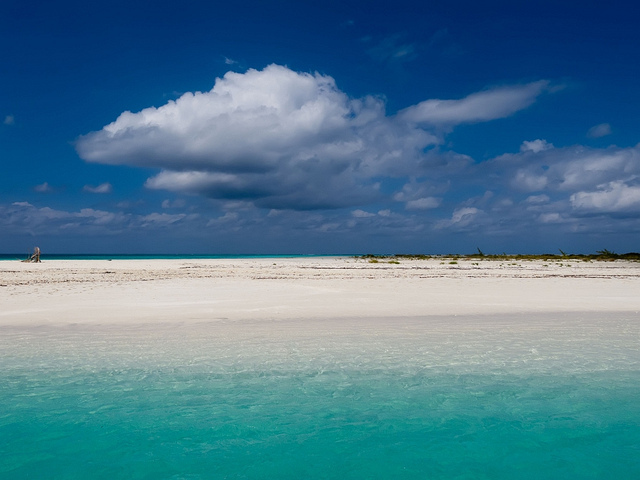 Located just off the south east coast each island is ringed with white sandy beaches, coral reefs and secluded bays. The Six Senses Con Dao resort is set in an area of natural beauty, along a mile long golden beach and sheltered by forested mountains. Explore the world and stay in some of the most naturally beautiful areas the planet has to offer. India’s festival calendar has something for every religion, nationality and belief, all heralded with elaborate preparation and an exuberant joy rarely found elsewhere. Gifts are exchanged, houses are decorated, song and dance fills the streets and each state and town has its own unique take on a festival occasion. Some events are regional and some national, but all are emblematic of a country which displays diversity at every turn and a people well-tuned to the spirit of celebration. Here are just a few of the major festivals you’ll find in India throughout the year. India may be a land of Sikhs, Buddhists, Jains and many more religious groups, but the start of the year sees a more secular holiday recognised by all. Republic Day on the 26th January marks the anniversary of the Constitution of 1950, when the modern Indian state was born. Parades are particularly spectacular in Delhi, focusing on the India Gate, attended by the Indian President and accompanied by awards and other rituals. Locally, school children perform cultural dances and receive sweets from the government and the tri-coloured flag is seen everywhere. The meaning of the original term, Deepawali, translates as ‘rows of lamps’ and today, Diwali is known all over the world for its nocturnal light displays. Probably one of the biggest annual events and widely celebrated across India, Diwali falls in November and is significant to multiple religious groups, as well as being a great occasion to witness as a visitor, if you’re lucky enough to coincide this with your cheap flights to India in 2013 that are widely available online. The main tradition of lighting the oil lamps represents the victory of good over evil, while people prepare their households in advance and make vibrant rangoli floor art, commonly meant to welcome the wealth goddess Lakshmi and promote luck. Held at the turn of the Hindu calendar and the coming of the full moon in late March, Holi is perhaps one of the most recognisable festivals of India: coloured powders and water tossed high into the air, coating everybody and everything in rainbow shades. The aim of the festivities is to celebrate the new season and nature’s return to full bloom after the winter. Northern and southern states associate it with different gods, from the burning of the evil Holika to the story of the God of Love, Kamadeva, who loosed an arrow at Shiva instead of his wife and paid the consequences with fire. Whichever is believed, the end of Holi is usually marked with a symbolic bonfire. This September festival revolves around the birthday of Ganesha, the mischievous elephant God, with intense celebrations in the Bombay and Madras areas, though popular across the country. Ganesha reigns in Buddhism and Hinduism and clay idols both homemade and statuesque are worshipped, alongside plenty of feasting, performance and poetry. On the last or tenth day the people give the elephant god his watery send-off, as he is paraded through the streets of places like Maharashtra, and submerged into the river or floated out to sea. One of India’s more regional and traditional affairs is held solely in Pushkar, a town in the desert state of Rajasthan. The Camel Fair began as a trade-off between camel and cattle buyers during the Kartik Purnima festival but now draws in crowds from all over the world to see camel races, beauty parades and even camel fashion shows as the lucky – or unfortunate – animals are dressed in the finest clothes. Also a November occasion, it lasts for five days and includes carnival acts such as magicians, live music and acrobats. In fact, India has many smaller and no-less noteworthy festivals which are worth looking up if you’re in the country. Why not make a stop at the August Nagaland festivals and celebrate with the Yimchunger tribes, or join in with Novidade in Goa to mark the first harvest crops in September? As the capital city of the Philippines, Manila is one of the most important economic and cultural centers in the country, and is naturally one of the busiest arrival points for visitors to the country. Its history as an important city dates back to the fifteenth century, when Manila was an independent kingdom that flourished due to trading links with the Chinese Empire. 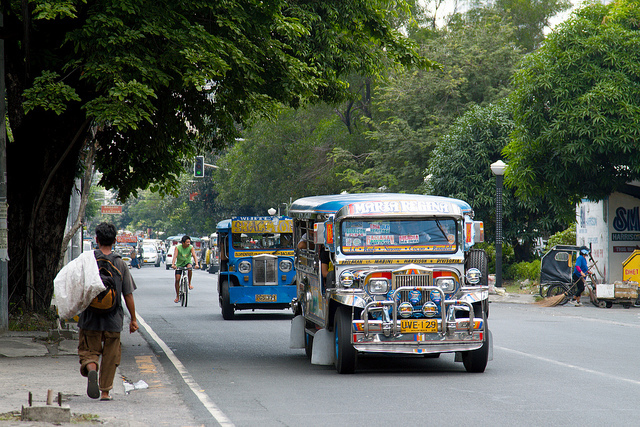 Today visitors to Manila are just as likely to be in the city on business as they are to be visiting the city for pleasure, and this is reflected in the wide variety of accommodation that is available in the city. While the Philippines are considered to be a budget destination, it is wise to check loans calculators to see if its affordable within your budget. This hotel is one of the more interesting boutique hotels in the city that has discovered a cult following among those who have to travel to the city on a regular basis. The hotel is situated in Intramuros, the historic center of Manila where many of the oldest and most important buildings in the city are located, making The Bayleaf a great place to stay for visitors. The room prices here are very reasonable when compared with some international hotel chains, while still enjoying plenty of luxuries such as large comfortable beds, air conditioning and flat screen televisions. This is one of the larger chains of luxury hotels with a presence in Manila, and enjoys a prominent position that means many of the rooms benefit from views out over the bay. This is a great place to relax for those who have been spending a few days exploring the busy city, and with a lagoon swimming pool and a spa it is the perfect place for those looking to while away a few hours and to completely unwind. The luxurious rooms are very pleasant and have all the usual modern facilities, while some excellent restaurants are available for those who don’t want to venture out in the nearby entertainment district of Makati City. The Manila Hotel is one of the most established and historic hotels in the city, and has been welcoming visitors to its luxurious rooms for over eighty years, offering a far more distinctive Philippine experience than some of the chain hotels. The decoration here uses traditional wood furniture and many of the decorations make use of the locally sourced capiz shells. Modern features such as memory foam mattresses, large televisions and luxury bathroom toiletries are all a part of the package here. The rooms themselves are large and welcoming with excellent furniture in a traditional style in each room, and the Champagne Room is one of the best places to enjoy French cuisine in the country. This hotel is one of the quirkier offerings in Manila, and has an interesting contrast between offering good accommodation on a budget in the city, whilst also having some remarkable themed suites. Those willing to splash out on the hotel’s top suites can choose rooms themed on movies such as Austin Powers and Casino Royale, while the Batcave suite comes with its own private garage and jacuzzi. The beds are comfortable enough and the rooms have air conditioning as standard, with every room having its own unique features and treats included for visitors. booking ahead with this hotel, as you will get the best prices, and often a few more luxuries will be included for your comfort. As the capital city of the Philippines with a population of over 1.5 million people, there is no doubt that the vibrant city of Manila is one of the real visitor attractions for people coming to the country. This historical city has long been a crossroads for international traders and seafarers, having been discovered by Spanish explorers in the fifteenth century. However, European influence was not the first to reach these isles of this city, as it had already been conquered by the kingdom of Brunei, so was already an international city. As an UNESCO world heritage site, San Agustin Church is one of the most important historical sites in the city, lying within a small walled city. 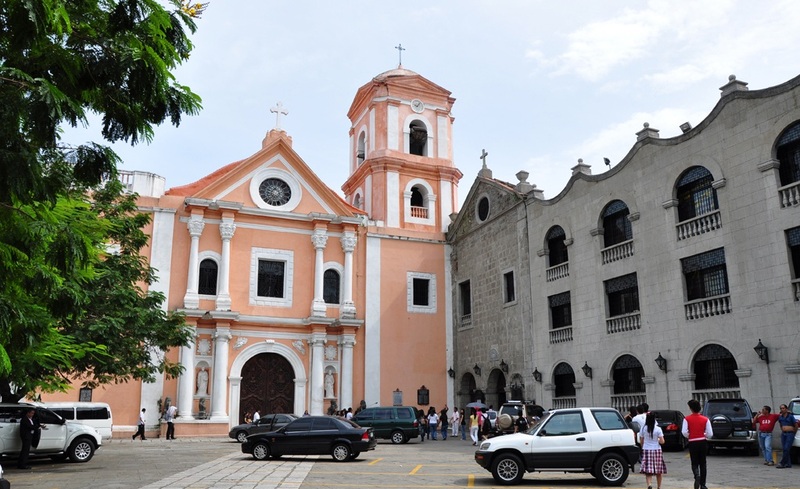 The current church has been ministering to the Roman Catholic flock of Manila since the early years of the seventeenth century, and is a beautiful example of the church architecture during the Spanish colonial period. One of the most remarkable aspects of the church is that it has survived a number of earthquakes with minimal damage, along with the frequent changes of hands between different empires. Today the church has been beautifully restored to its original glory, and is packed with wonderful art, and the intricately carved wooden doors to the church are particularly impressive. Another of the attractions to be enjoyed in Manila is The Enchanted Kingdom, which is the largest theme park to be found in the Philippines. The park itself is made up of a number of segments that have a variety of themes, and each one has a number of rides with those like the Disk-o-Magic and the Space Shuttle being particularly popular among visitors. They also host large firework displays in the evenings on public holidays, which brings more local families into the park. FortSantiago was built by the Spanish at the end of the sixteenth century, and the large defensible fortress made it a desirable building to hold for anyone looking to maintain their foothold in the city. In a roughly triangular shape, the fort has tall thick walls that were very useful during the frequent raids, and an ornamental gate added in the eighteenth century helped to make the building a little more attractive as well as being functional. The site also saw the raising of the flag of the United States in 1898 when the islands were colonized by the Americans. Although it sustained heavy damage during the Second World War, FortSantiago is still well worth exploring, with many of the walls still in place, and the gate has been reconstructed. One of the biggest events in the Philippine calendar is the fireworks extravaganza that is the World Pyro Olympics. Having been inaugurated in 2005, the annual event sees the best of the world’s fireworks manufacturers come together to display their hard work from the previous year, and to compete against other manufacturers to make the best fireworks. As well as being a commercial enterprise allowing for fireworks manufacturers to come together, it is also a fantastic spectacle. 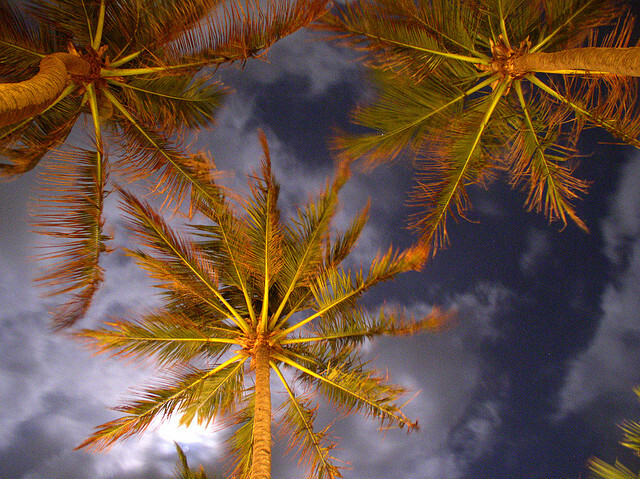 Although nominally an independent city, the suburb of Pasay is the best place to witness the event which is spread over six weekend evenings in the spring. This monument and park is dedicated to one of the greatest national heroes in the history of the Philippines, Jose Rizal. Having been educated in Europe Rizal returned to the Philippines and was a political figure keen to bring about the independence of the country through peaceful reform. He was also a keen artist working with paint and sculpture, and was also a poet and successfully published two novels. He became a martyr after being falsely tried and executed of leading a rebellion in 1896. The mausoleum and monument at the heart of the park is only a short distance from where he was executed, but is now an important site in Manila. This is an annual festival that is celebrated in the Manila district Quiapo on January 9, to celebrate the festival of a statue of Jesus Christ which is carried through the district. The statue itself was imported from Mexico, and the original white skin of the statue has darkened significantly. During the festival it is not uncommon for up to eight million people to pack the streets of the district to enjoy the parade, which begins at RizalPark, and the traverses a significant route to return to the Minor Basilica of the Black Nazarene.